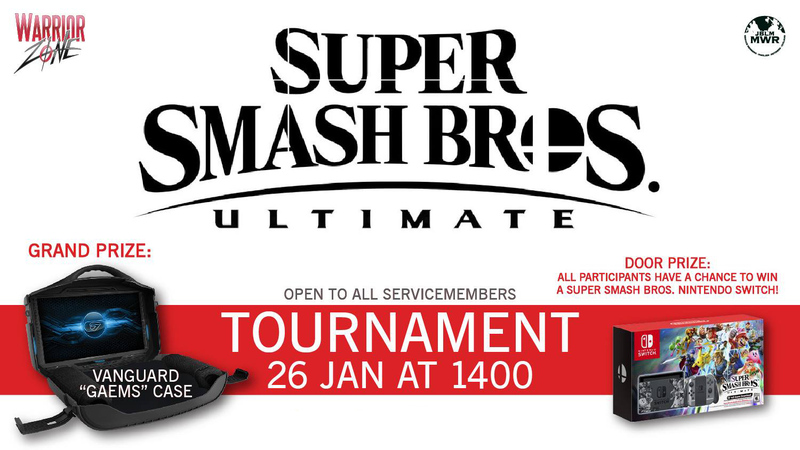 Date: Jan 26 2019, 2 p.m.
Saturday, 26 January at 1400: Super Smash Bros. Tournament. Be here! Winner takes home a Vanguard "Gaems" Case. All participants will be eligible to win the limited edition Super Smash Bros. edition Nintendo Switch! A value of $360! Watch it stream live on the Warrior Zone Twitch Channel! Free to enter, open to all Service members.